External portable hard drive formatted for Windows out of the boxDrag-and-drop file savingUSB 3.0 poweredIncludes 2-month complimentary membership to Adobe Creative Cloud Photography Plan, redeemable by January 31, 2020For Mac compatibility this hard drive requires reformatting. 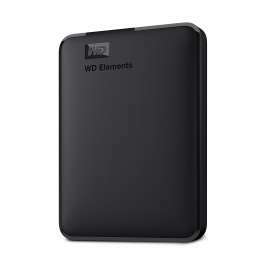 Reformatting the drive will erase all content unless it is backed up t.. Storage Capacity: 4TBBus Powered USB 3.0 Interface; USB 2.0 CompatibleData Protection with Hardware EncryptionUSB 3.0 Cable IncludedIncludes WD Backup SoftwarePreformatted for WindowsMac Compatible with Reformatting..
USB 3.0 and USB 2.0 compatibilityFast data transfersImprove PC performanceHigh CapacityWD quality and reliability..
SB 3.0 and USB 2.0 compatibilityFast data transfersImprove PC performanceHigh CapacityWD quality and reliability..